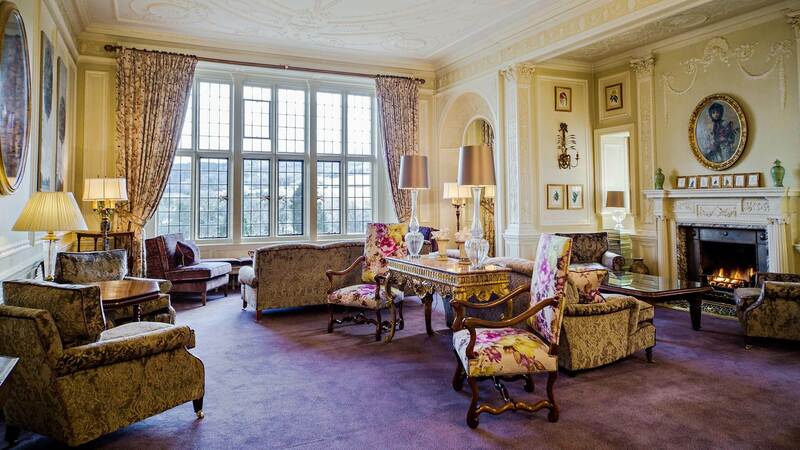 Bovey Castle in Devon is history, excitement, glamour and adventure. Where else can you wear your Hunter wellies at 8am, golf spikes at 3pm and Manolo Blahniks for dinner? But while guests are offered luxury and indulgence, this is not a stuffy hotel where you can’t sit on the furniture or let your kids enjoy themselves. 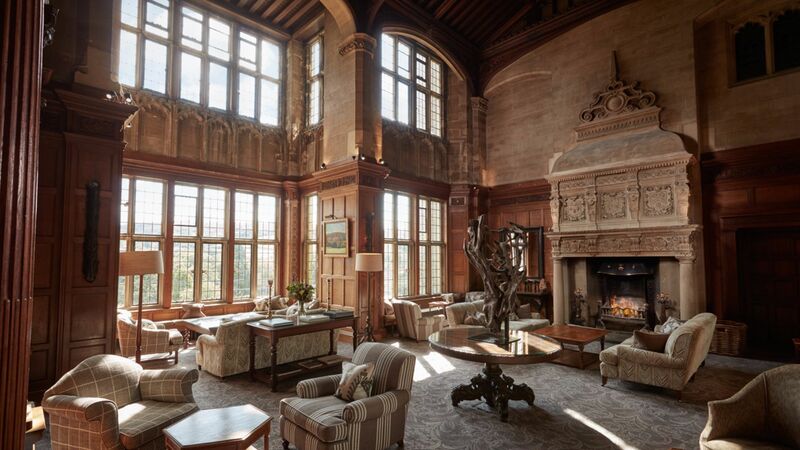 Bovey Castle is a place where you can live out your dreams, then put your feet up. 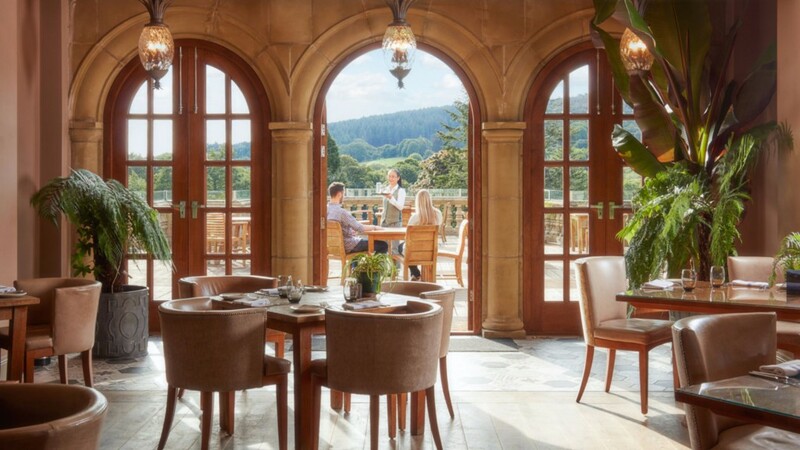 We are delighted to announce that Bovey Castle, in Dartmoor National Park in Devon, has been awarded Five Red Stars by the AA and 3 AA Rosettes for its culinary excellence. 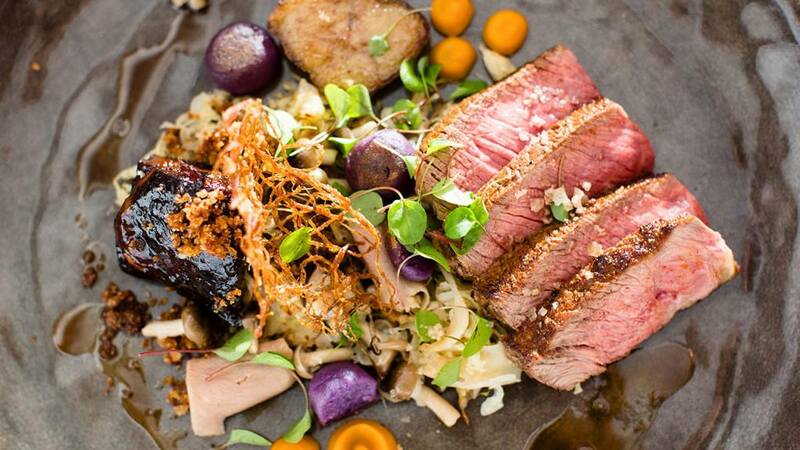 Restaurants with the coveted three rosettes are deemed to be outstanding establishments that demand recognition well beyond their local area and just 10% of the AA’s restaurants achieve this level. 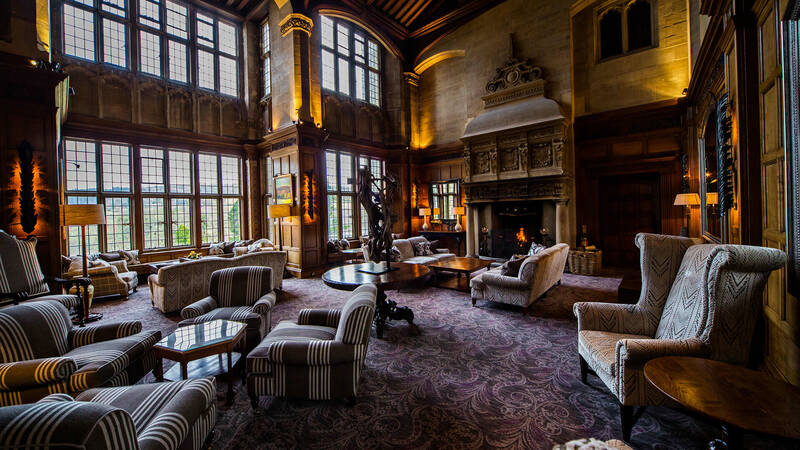 There is no minimum age at Bovey Castle – families are welcome. Children under 14 years are not permitted to use the gym. Children up to the age of 4 years are accommodated free of charge in a cot or on an extra bed (except in a Single or Classic room). 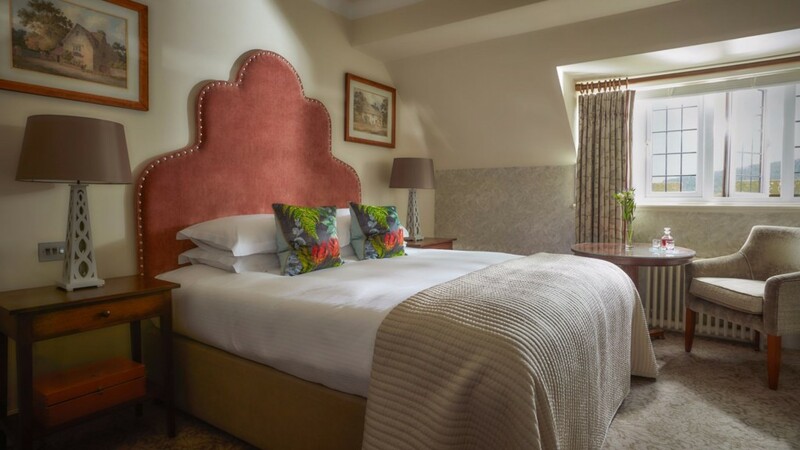 Children aged 5-16 years can be accommodated in parent’s room on an extra bed at the cost of £20 per night, inclusive of English breakfast (except in a Single or Classic room). For two children, interconnecting rooms can be requested, or book a family room. 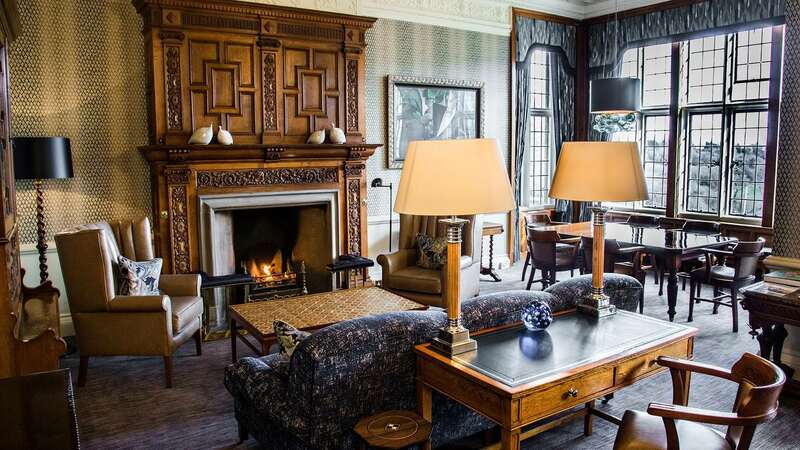 The Oak Bar boasts an enormous array of whiskies and spirits, with the very best malts and fine Armagnac’s, some dating back to the time the house was built. There are, of course, plenty of wonderful cocktails to sample and our mixologists are constantly developing more. Complimentary activities include daily falconry display, daily egg collecting, pool, gymnasium, sauna, steam room, badminton or volleyball, croquet/boules/petanque, table tennis and swings, tennis. 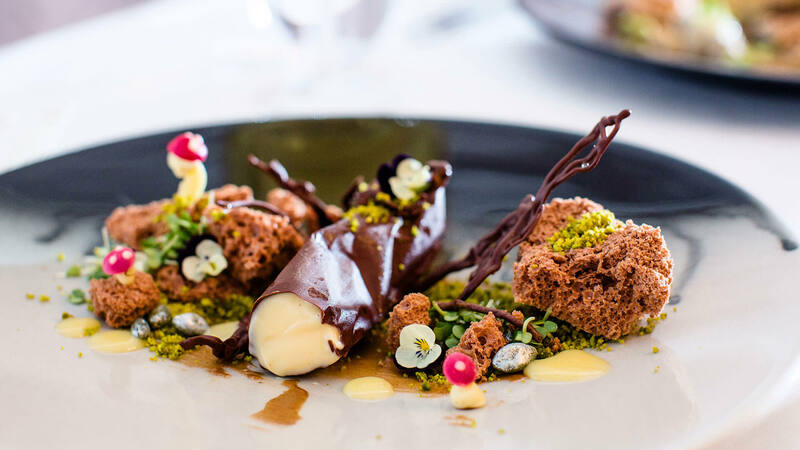 The 3 AA Rosette Great Western Restaurant is just a little bit special. We’re not in the market for stuffy dining where you feel like you need to whisper behind your napkin. 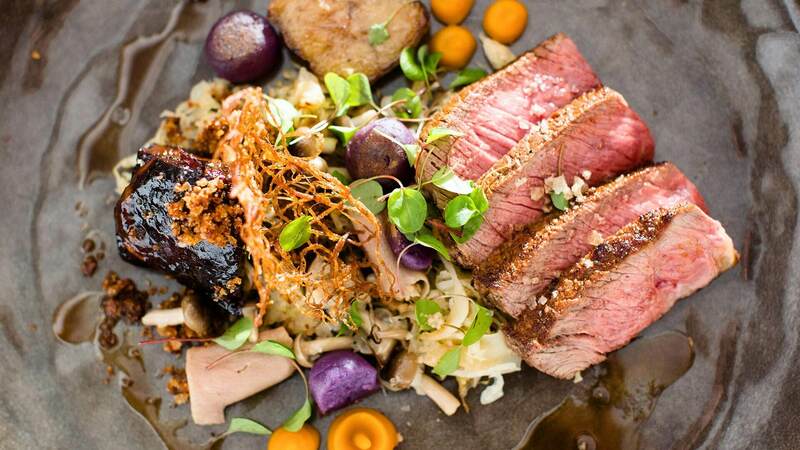 Great Western Restaurant is relaxed and comfortable, yet upscale and classy. We call it ‘exclusive dining’ actually, purely because it’s an experience you won’t find anywhere else in the South West. Our roots are firmly planted in classical cookery, recalling the glamour of the restaurant’s Art Deco origins and echoes of a bygone era. 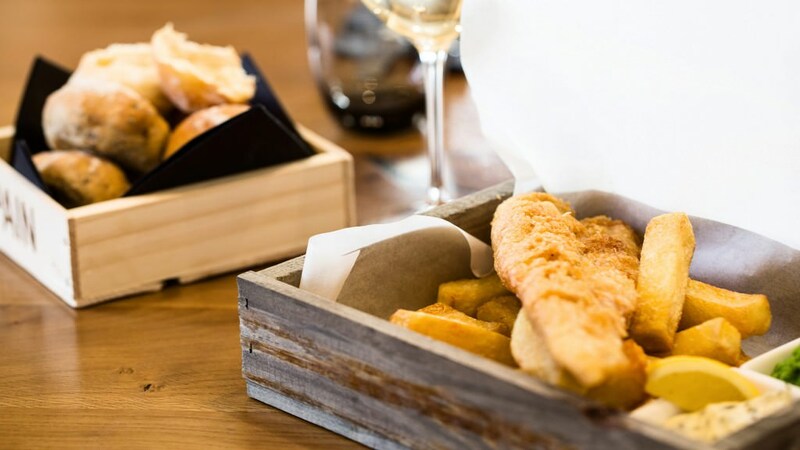 They say the first bite is with the eye, so from the very start you are in for a treat as beautifully presented dishes, using locally sourced ingredients, are placed at your fingertips. The ambience lends itself well to dapper tailoring and a fancy frock so feel free to glam up and feel special for an evening of splendid food and wine. 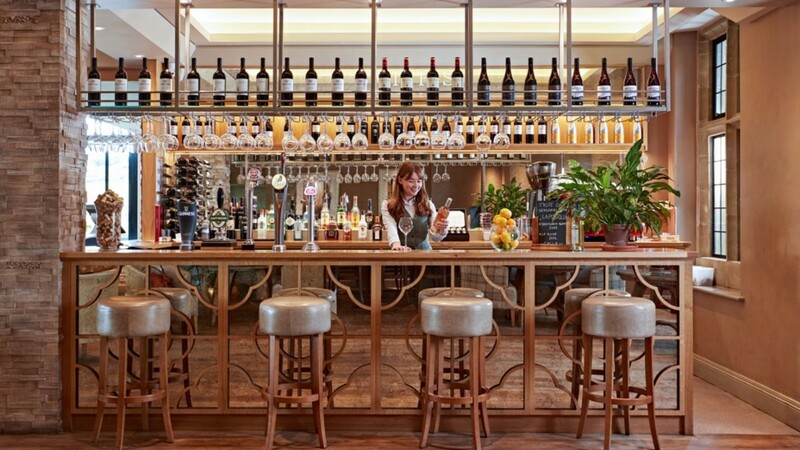 Image the best pubs in the land, You’ll be thinking countryside views, roaring fires, a welcoming atmosphere, cosy seating and delicious aromas drifting from the kitchen. Got an image in your head? Well Smith’s Brasserie is that, but better. 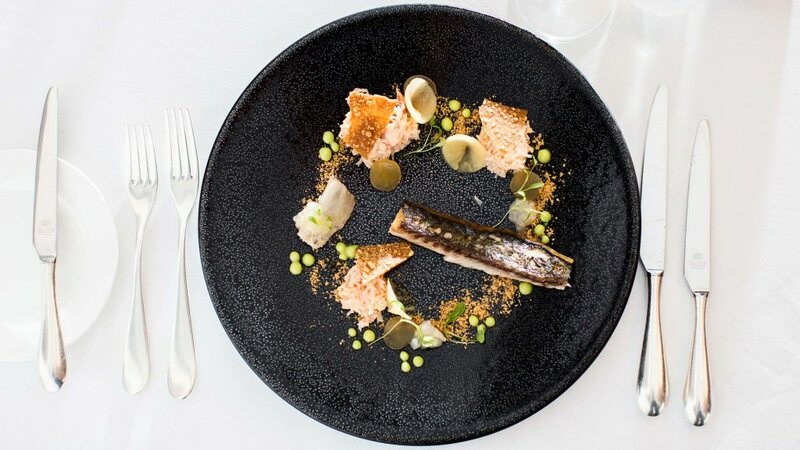 Relaxed and inviting, bang on trend yet unpretentious and most certainly classic British dining at its best. 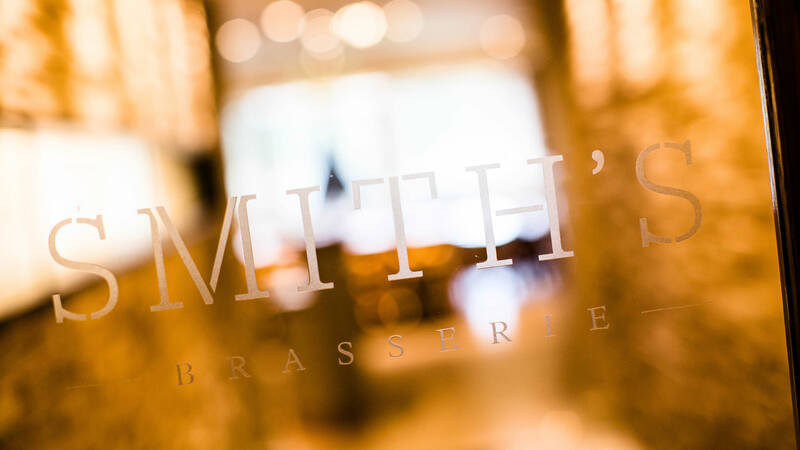 Smith’s is the kind of place where you can dress up and make it special with a glass of Champagne or dress it down and bring the kids for a family lunch after a day out on the resort. 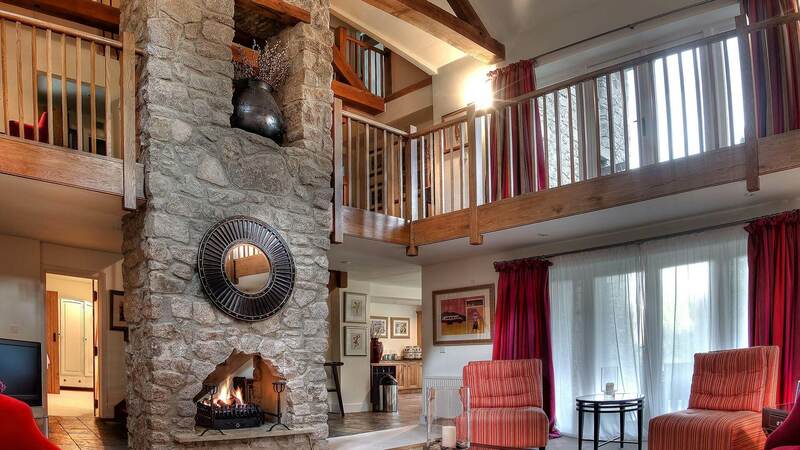 You can spend some ‘me time’ curled up with a good book and hot chocolate in front of the fire pit or some ‘we time’ catching up over cocktails. 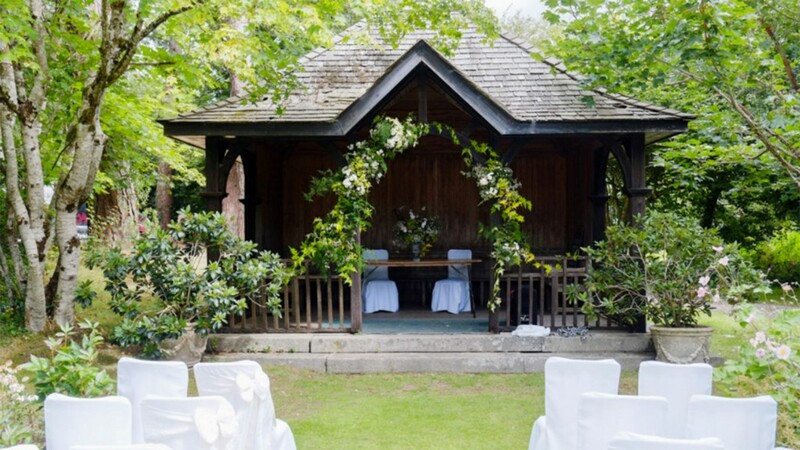 We don’t stand on ceremony here and we don’t want you to either so just chill out and prepare to do some serious relaxing in stylish surroundings. 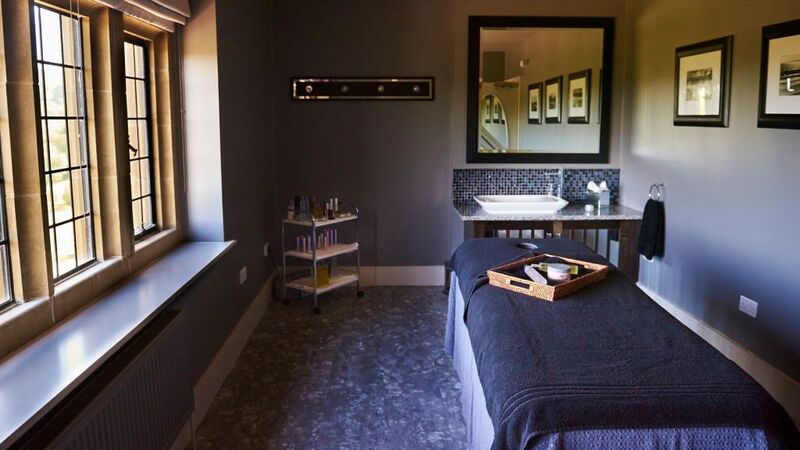 The ESPA spa at Bovey Castle is a sanctuary tucked away from the bustle of modern life. 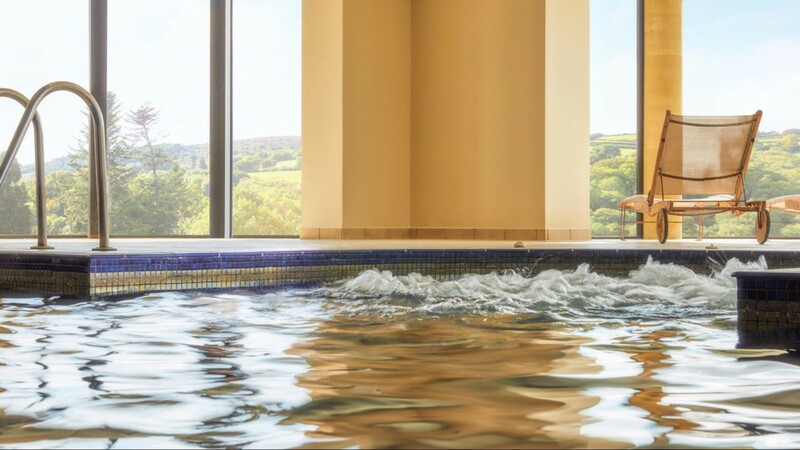 Echoing the tranquillity and therapeutic flow of the River Bovey, our bespoke spa experiences have been created to relax, revive and restore the body and spirit. 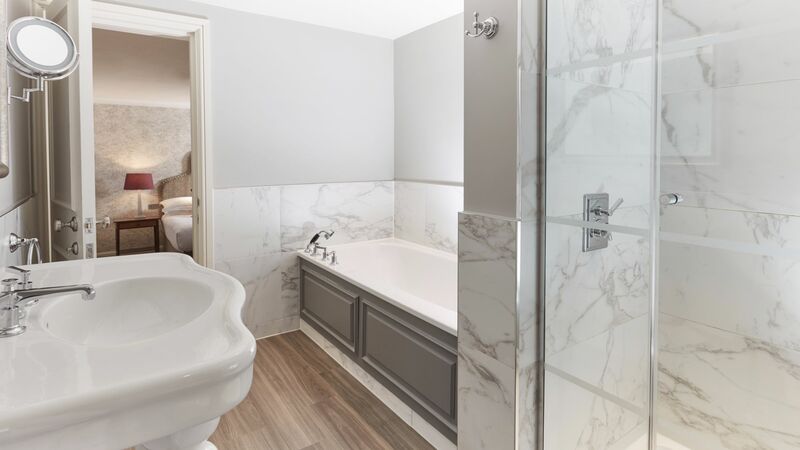 Include a Jacuzzi, sauna and steam room. The hotel gym is stocked with a full range of Precor, cardiovascular and strength equipment. 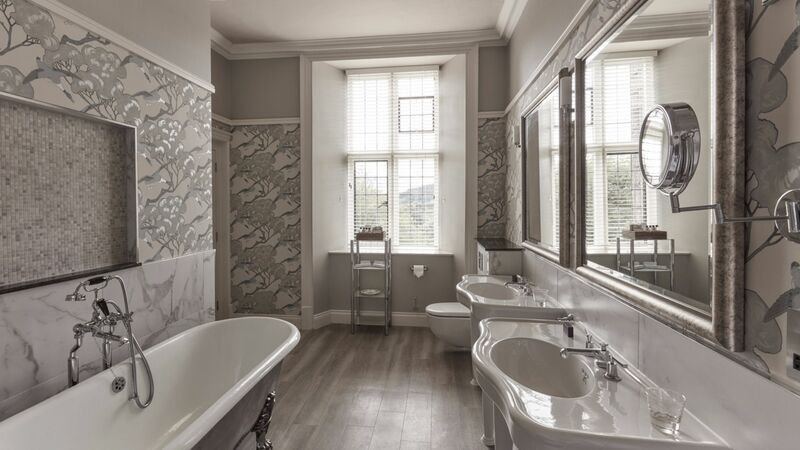 All bedrooms, within main hotel and lodges, full English breakfast, exclusive all public areas (excluding the library, Castle Bistro, spa, pool, gym and golf course). 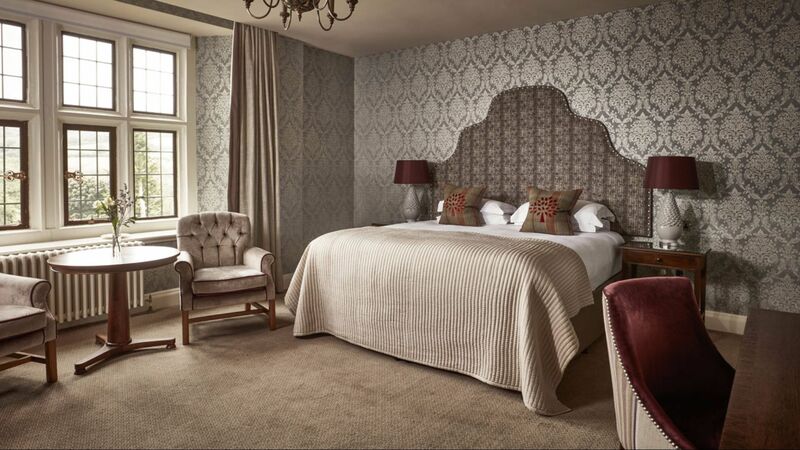 Guide price: Double room for two people from £229 per night. 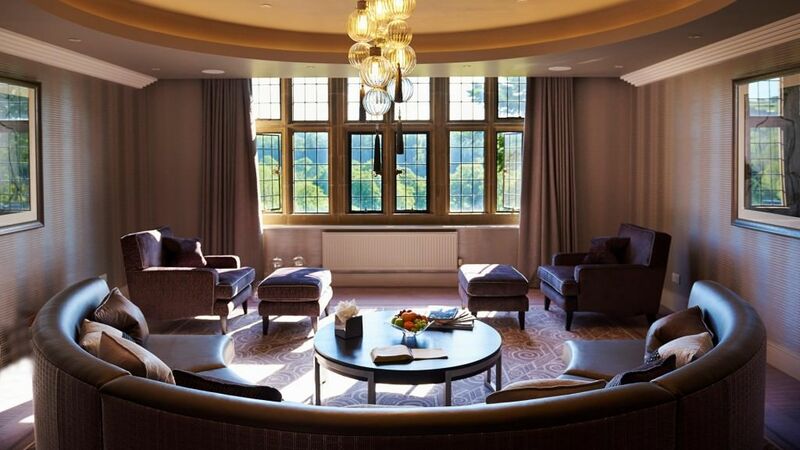 Suites for two people from £569 per night. 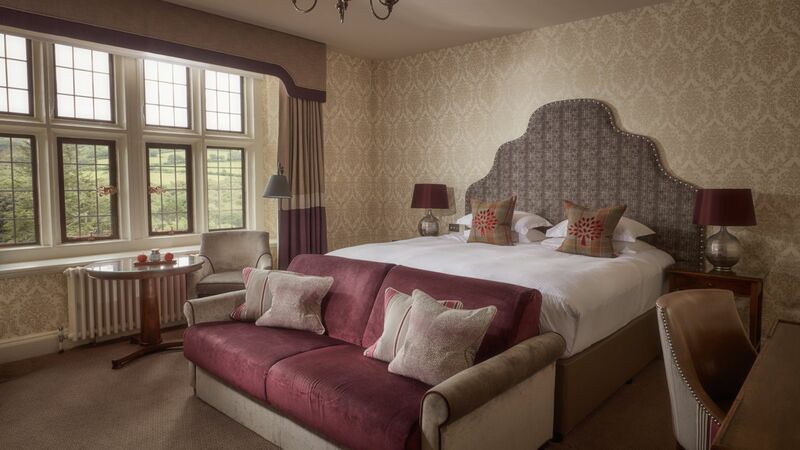 Family rooms for up to two adults and two children from £439 per night. 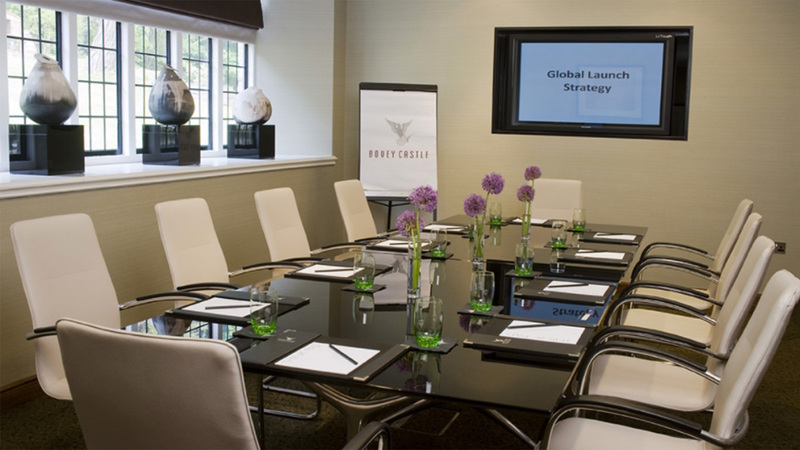 Enjoy a luxury 2 night break. 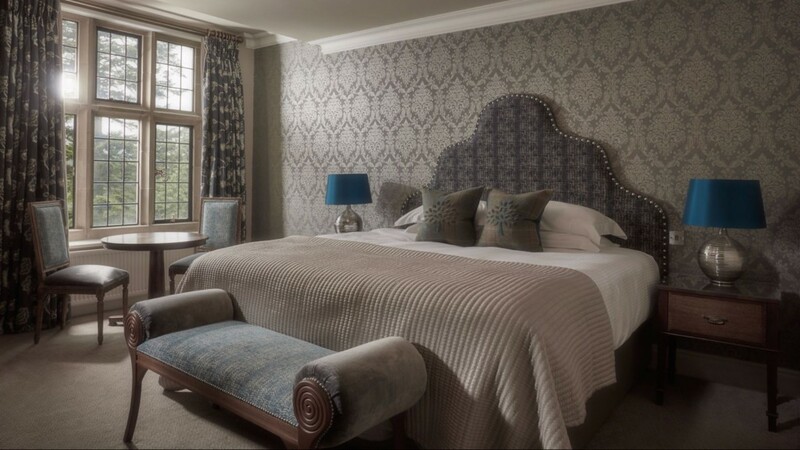 The offer includes 2 nights bed and breakfast, dinner on one night in the Great Western restaurant, one night in the Smith’s Brasserie, a bottle of Champagne on arrival and a tour of the deer park, guided by one of the estate’s deer keepers. 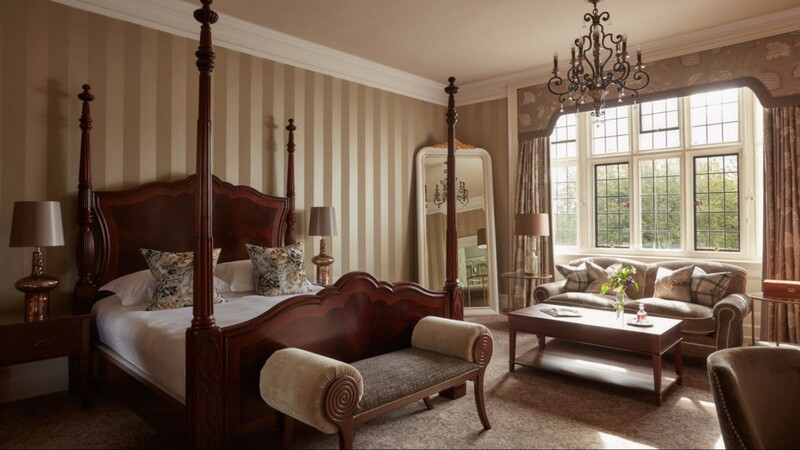 Prices start from £599 per couple in a Classic room. This accommodation offer is subject to availability. The offer is inclusive of VAT and is based on a 2 night stay for a couple sharing a Classic room. 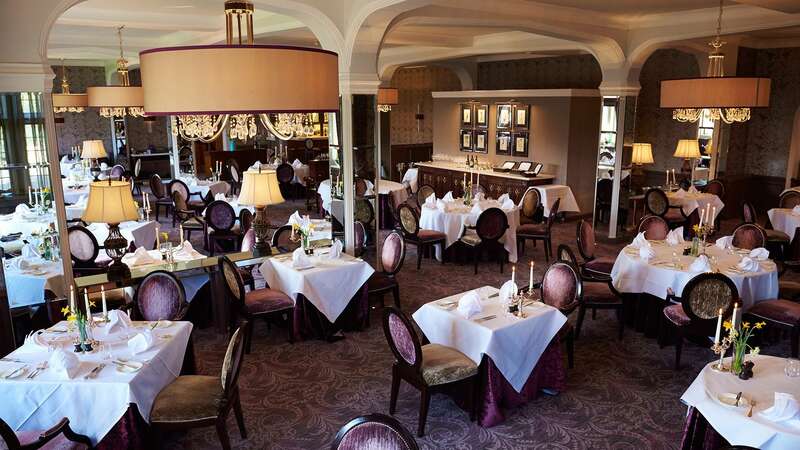 The dinner allocation in the Great Western is £65 per adult and in Smith’s Brasserie is £40 per adult. 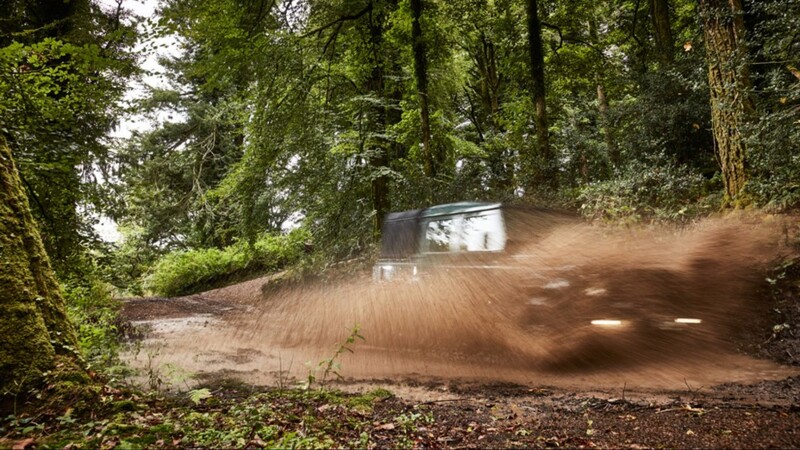 Come and try the ‘Off Road Experience at Bovey Castle’, set within the 275 acre Bovey Castle estate on Dartmoor National Park. This exciting adrenaline experience gives thrill seekers the opportunity to view the estate from seldom seen viewpoints and will get your heart pumping as you handle these incredible vehicles in a rare opportunity to challenge your driving skills. 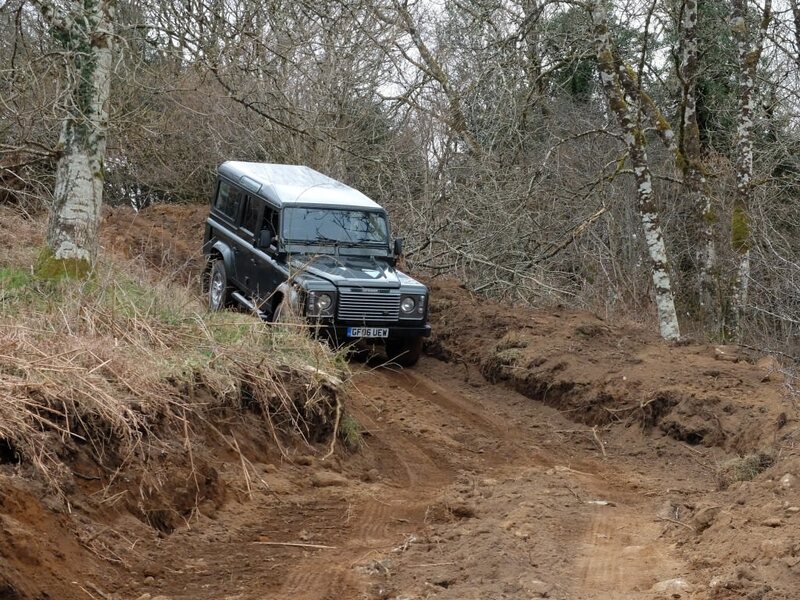 This exhilarating activity offers the opportunity to drive one of our fleet of Land Rovers around the newly-created timber extraction tracks in the outer-estates woodlands. Travel up to the Moor Field for an edge-of-your-seat challenge, with the off road track providing views over the golf course, across the valley and beyond to the untamed Dartmoor countryside. One of our experienced instructors will meet you in the Cathedral Room to talk you through the Land Rover Defender 110’s capabilities and engineering then, once you are outside the doors of the castle, your instructor will take you to the off road track where they will give a short demonstration drive on how to safely handle the car off road and show you just how capable these vehicles can be. Alternatively get your tyres muddy and drive your own four-wheel drive around our track with one of our instructors. Our one hour taster session includes a meet and greet with a qualified instructor and a short safety briefing, followed by up to 45 minutes of some extreme off-road driving under instruction around the track. At the end of the session you will receive a certificate of achievement for successfully completing the track. The half day experience provides drivers with technical driving skills and training for off-road driving. This package includes refreshments on arrival, a meet and greet with a qualified instructor and a safety briefing. You will then participate in some extreme off road driving under instruction, taking on the tougher aspects of the track including steep inclines, descents and side slopes. You will also have the opportunity to test your driving skills on the skills challenge. At the end of the day you will receive a certificate of achievement for successfully completing the half day experience. The shoot and drive experience includes the one hour off-road driving taster session and an hours’ shooting, using our onsite training range and the .410 shotguns. 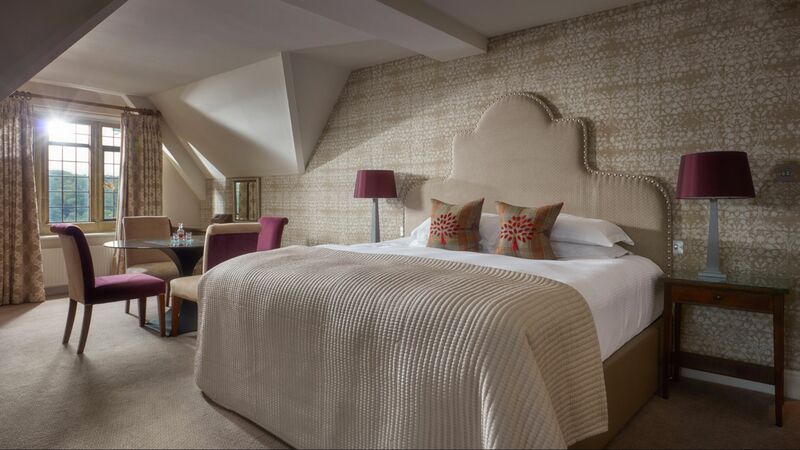 Welcome in the lighter nights and warmer weather that comes with the changing season with an indulgent overnight stay. 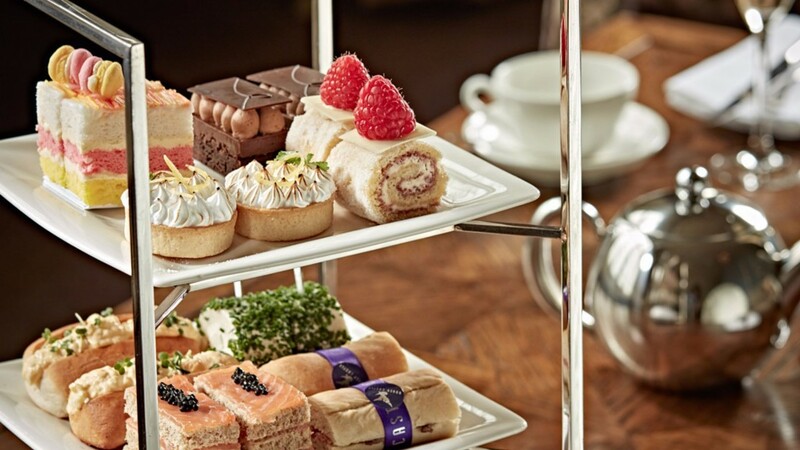 Our Spring and Summer stays include an elderflower Champagne cocktail, a *two-course dinner, sumptuous overnight accommodation and a full English breakfast the following morning. Prices start from £229 per room, per night based on a couple sharing a Mews room. Minimum 2 night stay, dinner on one evening. Terms and conditions apply. Subject to availability. Breaks are valid from 01/04/19 – 30/09/19. Prices are stated per room per night, based on double occupancy. *Dinner is a £30 per person food allocation. Quote ‘Hazy Days and Lazy Stays’ when booking. Stay on the A382 for approximately 7 miles into Moretonhampstead, and turn right on to the B3212 towards Postbridge. Stay on the B3212 for approximately 2 miles. 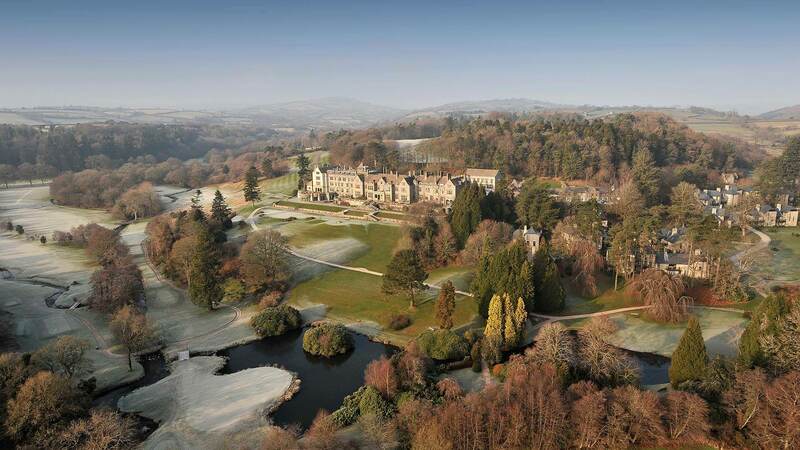 Bovey Castle is on the left hand side marked by large wrought iron gates and a Gate Lodge. For those that love walks and trails, Dartmoor National Park is the perfect place to visit. With over 260m² of moorland to cover, hours can be spent exploring the barren terrain and discovering its incredible wildlife such as the Dartmoor ponies that gather across the national park all year round. Just a short drive from the coast visitors often spent a day or two out at local beaches, namely South Sands, Dawlish Warren, Bantham and Teignmouth. During the summer months the Devon beaches emulate a Mediterranean climate and also have lifeguards on hand to keep beach safety secure. Located in the quaint city of Exeter is the Royal Albert Memorial Museum and is just a half an hour’s drive from Bovey Castle. The museum is home to a number of fascinating collections that include local archaeology, an assortment of rock and fossils, decorative arts, and much more. Entry to the museum is free and can be visited between the hours of 10am and 5pm, Tuesday to Saturday. The Eden Project in Cornwall is a great day out for the whole family: explore the largest indoor rainforest in the world and explore how we can all work with the land towards a better future. The charity and social enterprise has stunning gardens, fantastic arts and music events as well as environmental projects on their doorstep. Some of the projects they work on go towards bringing about environment, social and economic regeneration with the main purpose to inspire people about the world we live in. Crealy Adventure Park is a multi-award-winning family theme park located in Devon featuring some amazing rides and attractions as well as top class events and live shows throughout the year. 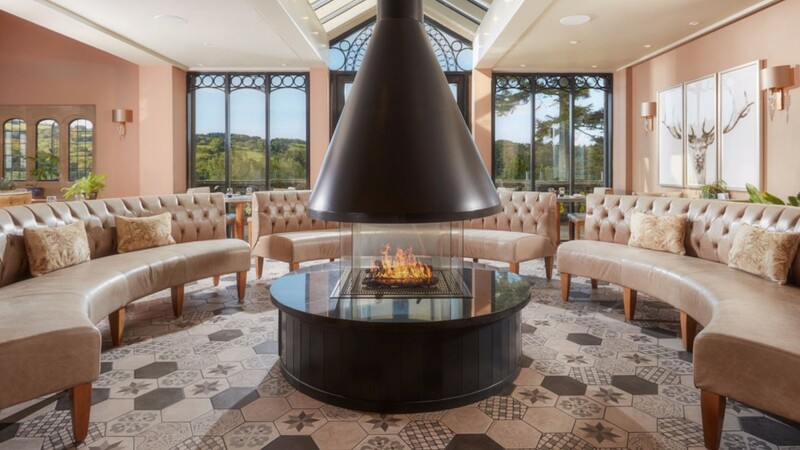 Bovey Castle is a historic manor house transformed from a long-forgotten railway hotel into a luxury five red star resort, set within 275-acres of estate on Dartmoor. 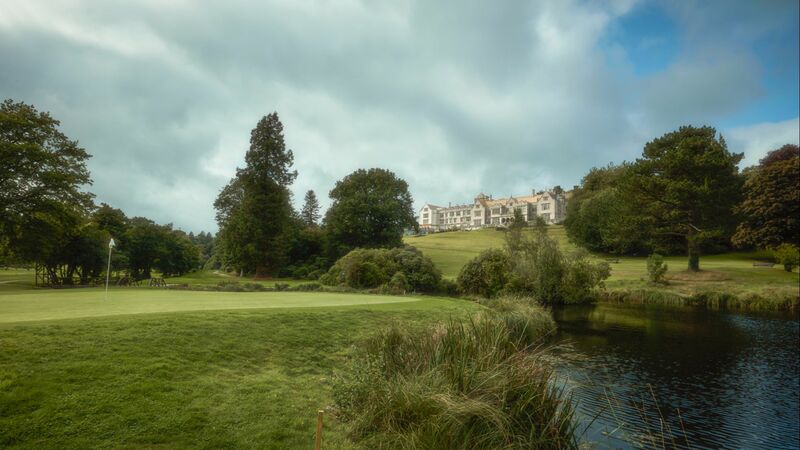 Upon arrival at Bovey Castle, guests pass through the imposing iron gateway, down the long sweeping drive, through the championship 18-hole golf course and there at the end is the hotel. 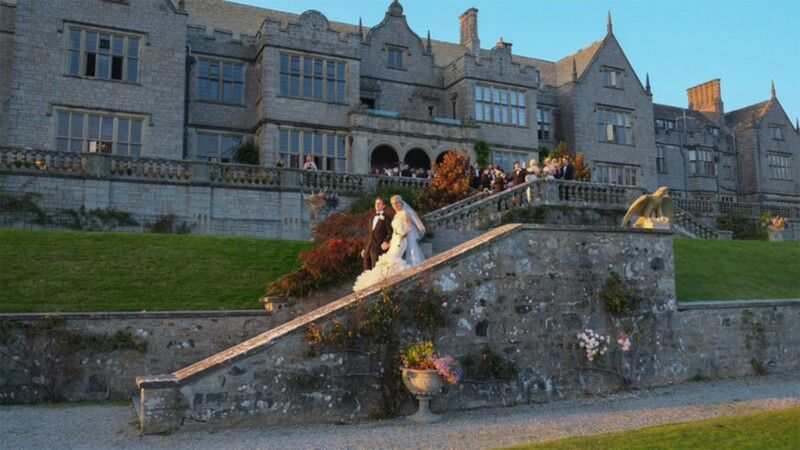 There are countless wedding venues in Devon, but Bovey Castle is the only five-star and truly luxurious wedding venue in the county, set within a privileged location on Dartmoor. 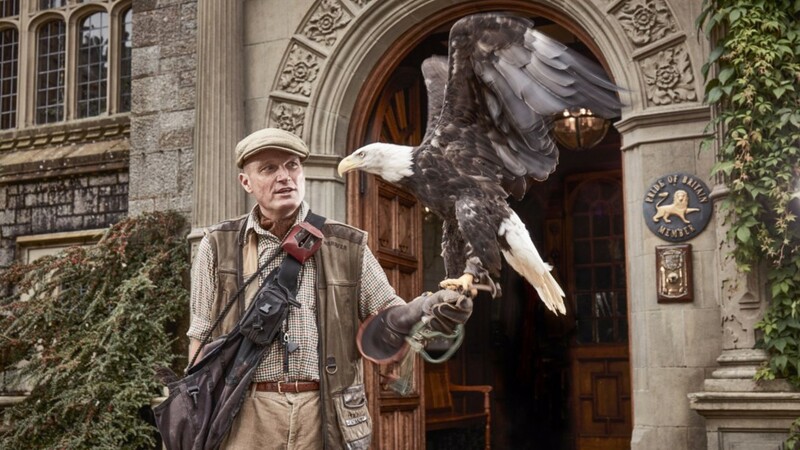 For fairy-tale romance, the groom can arrange with Bovey Castle’s falconer, Martin Whitley, for the rings to be delivered by Archimedes, a white-faced Shops owl, who swoops down the aisle and lands on the glove of either the best man or page boy. A truly amazing spectacular for the bride and her wedding guests! 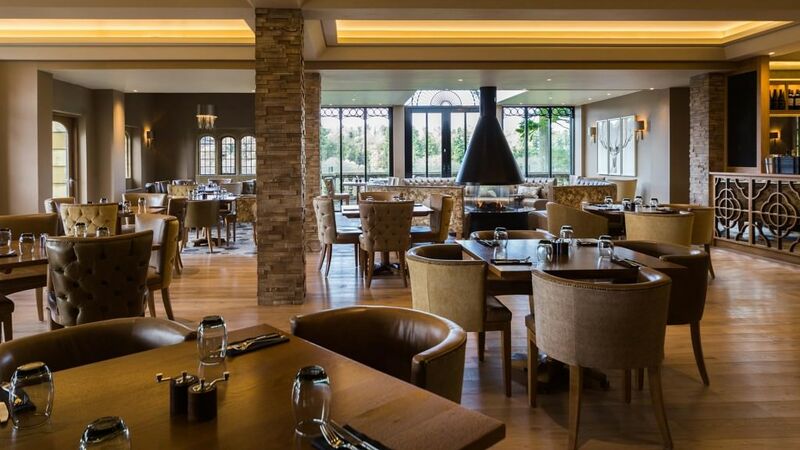 Entertain guests with a ‘nearest the pin’ golf competition, ferret racing, cocktail making in the Oak Bar, clay pigeon shooting or a falconry display with the hotel’s two eagles. Cathedral Room – max 150 guests. Adam Room – max 40 guests. The Library – max 20 guests. Summerhouse – max 100 guests. Portico/South Terrace – max 70 guests. 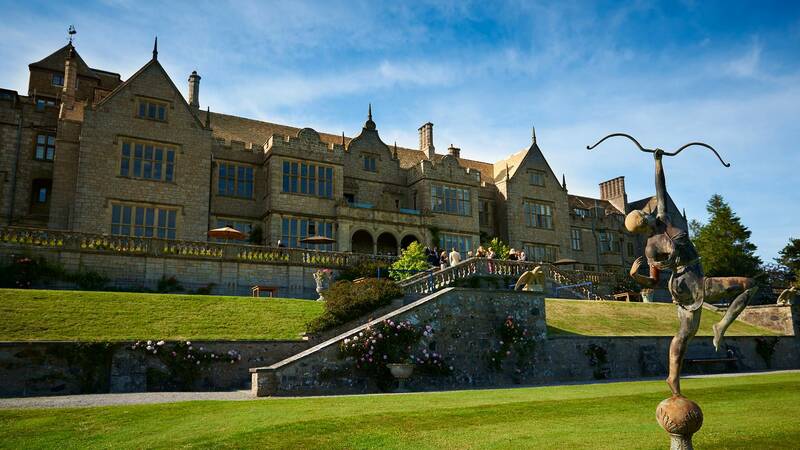 Please call Bovey Castle for more information. 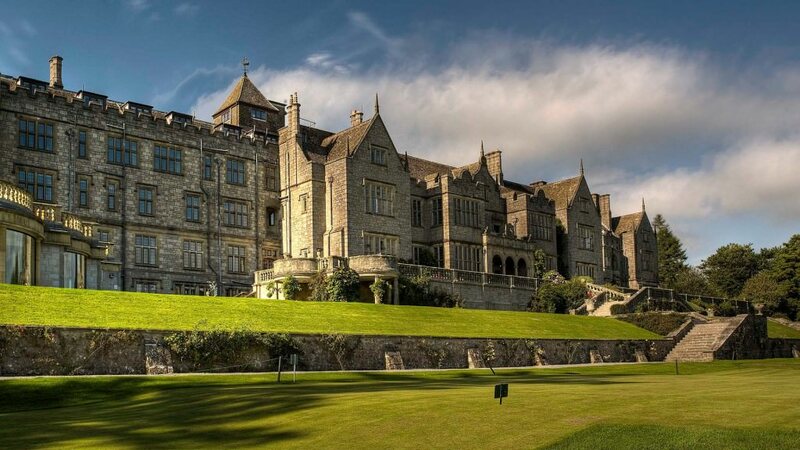 With exclusive use of Bovey Castle, the hotel becomes yours for the day. 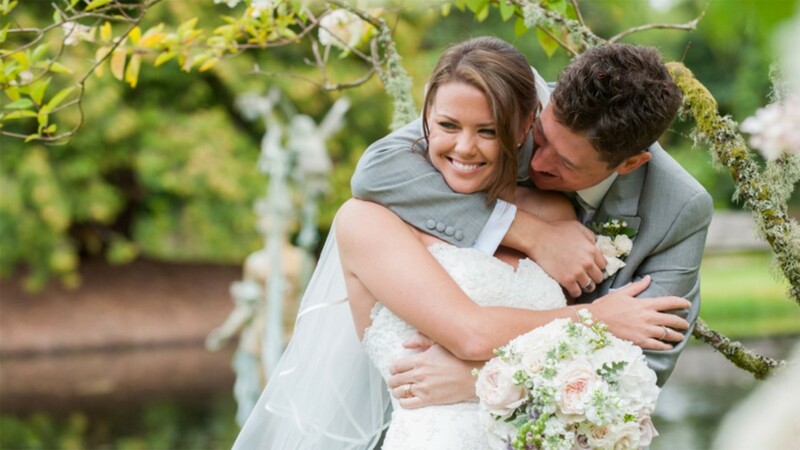 Your guests are greeted upon arrival and ushered into the luxurious hospitality of your very own country home, where your wedding celebrations begin in the utmost style and privileged ambiance. Bovey Castle is licensed for civil ceremonies. 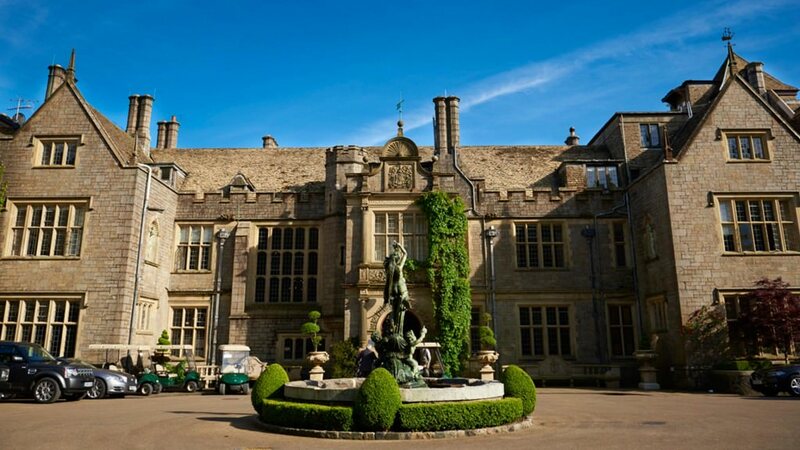 Planning services are not available directly through Bovey Castle. 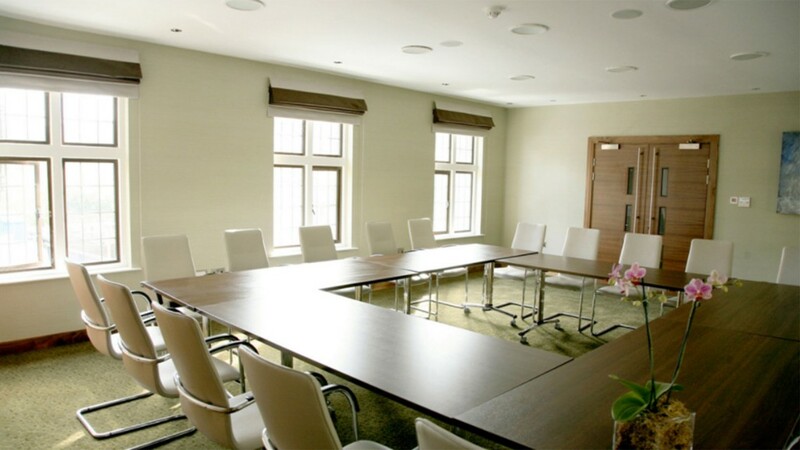 Day delegate rate: from £49 per person, including meeting room hire and equipment, pastries or bacon rolls on arrival, unlimited tea and coffee, lunch and an afternoon pick me up of cup cakes, tray bakes or Devon cream tea.